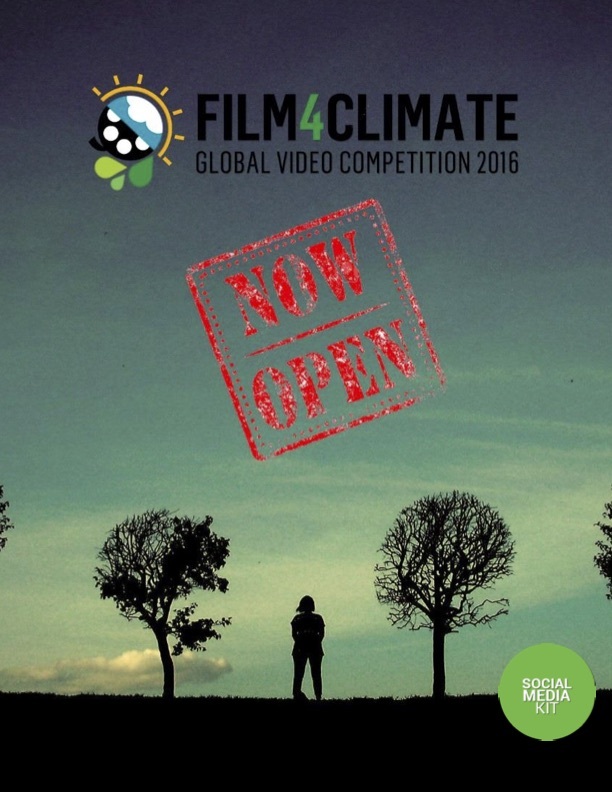 The Film4Climate Global Video Competition opens today as the centerpiece of the Connect4Climate initiative to promote sustainability in the creative industries through active engagement with young people in finding solutions to climate change. 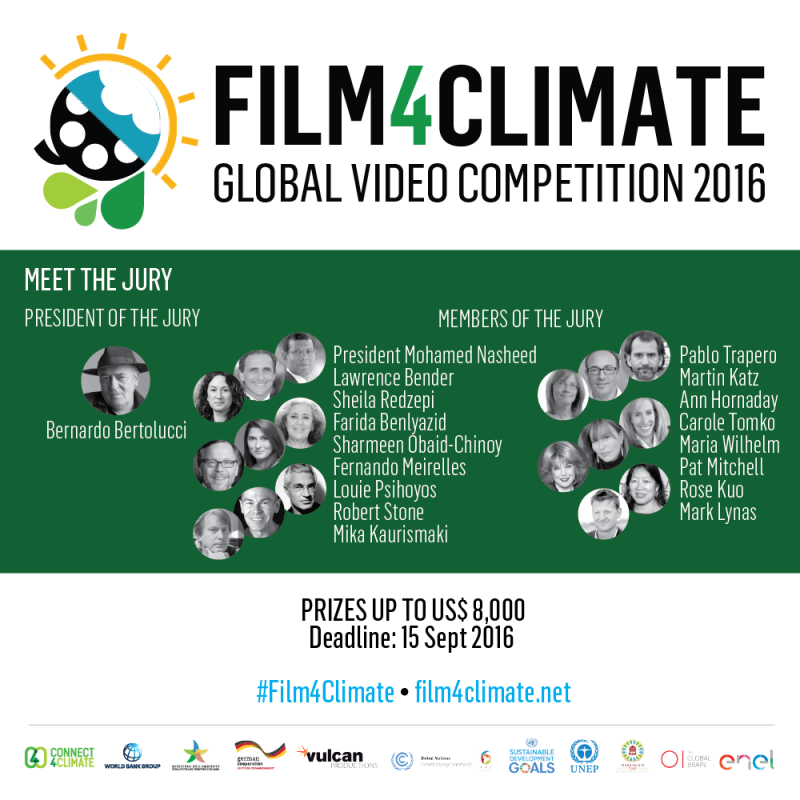 Send in your videos either through our website or at film4climate.net. 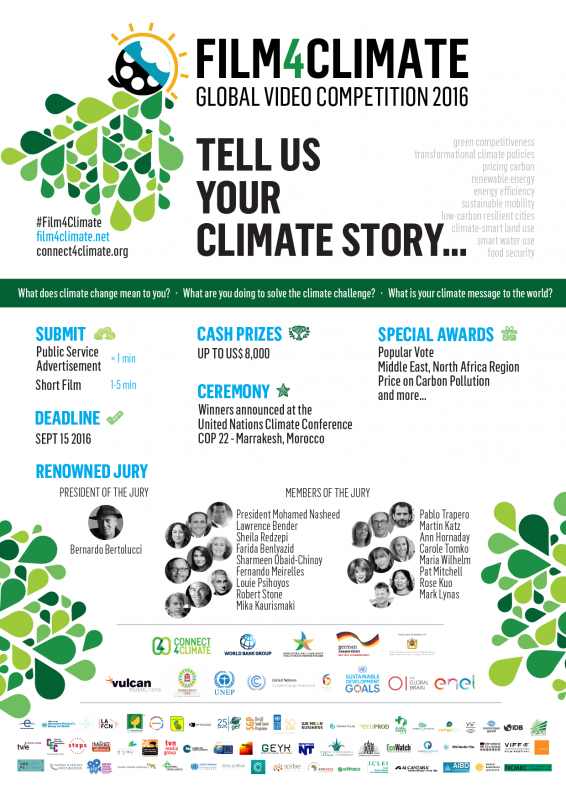 Announced at the Cannes Film Festival by the World Bank Group’s Connect4Climate global partnership program, the competition will be open for submissions through September 15, with the winners to be announced at a high-profile awards ceremony at the United Nations COP22 Climate Summit in Marrakesh, Morocco in November. As the next five years will be critical to advancing and scaling up climate action around the world as part of the Sustainable Development Goals (SDGs), the COP22 climate summit aims to encourage countries to implement ambitious climate actions, with youth playing a vital role in the agenda. “It is not our role to inspire youth, it is they who inspire us every single day. Our mission is to provide them with a platform, and COP22 will be the opportunity to show the world the creativity of young filmmakers and how they are taking action on climate change,” stated Dr. Hakima El Haite, Delegate Minister in Charge of Environment, Morocco, Special Envoy for Mobilization of COP22, and High-Level Champion of the United Nations Framework Convention on Climate Change (UNFCCC). In addition to the main cash prizes a number of special prizes will be awarded to outstanding entries. 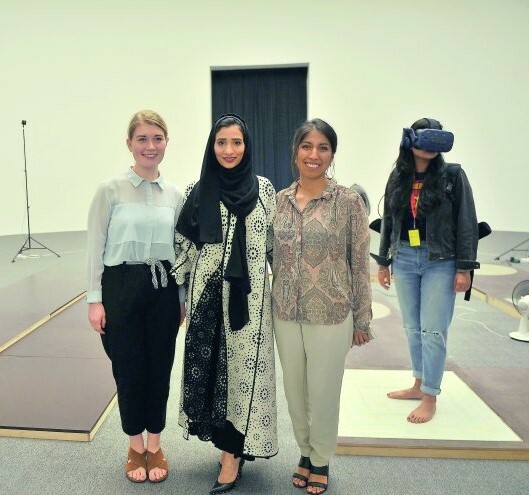 These include a People’s Choice award, a MENA-Award for the best entry from the Middle East and North Africa region, and a “Price on Carbon Pollution” award. Other prizes, including worldwide distribution by Vulcan Productions, will be awarded as determined by presenting partners. Vulcan previously partnered with the World Bank Group’s Connect4Climate program to produce the spectacular large-scale architectural projection and public art display of images of climate change on St. Peter’s Basilica in December 2015, as a gift to Pope Francis, which was seen by an audience of several billion people. The competition is the outcome of a partnership between the World Bank Group’s Connect4Climate program, the United Nations, Vulcan Productions, and the Italian energy company Enel, which has endorsed the UN’s Sustainable Development Goals and targeted carbon neutrality for its operations by 2050. Other presenting partners include the UNFCCC, UN Sustainable Development, UNEP, The Global Brain, and the Government of the Kingdom of Morocco. In addition, more than 50 collaborating partners are supporting the competition. 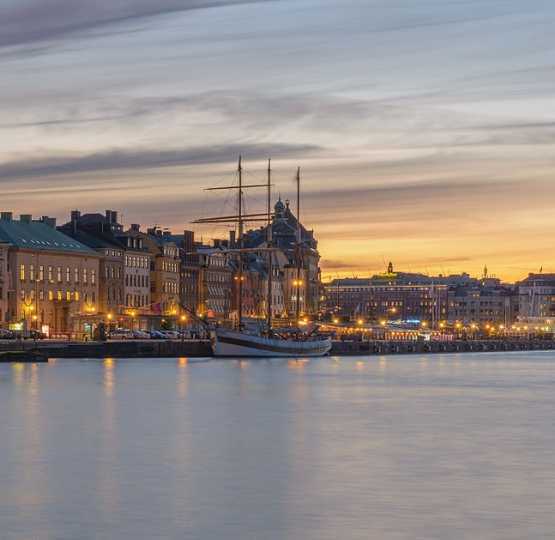 Connect4Climate receives support from the Italian and German governments, as well as from the private and public sectors, and academia. Join the climate knowledge partnership. 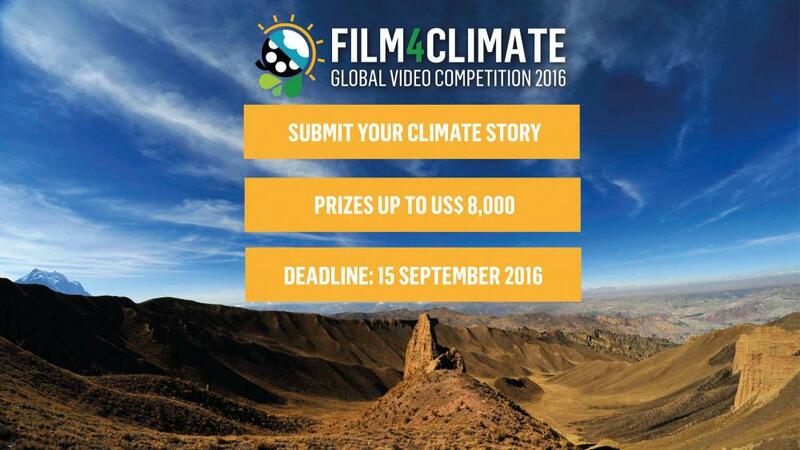 Please share the #Film4Climate competition with your family and friends. 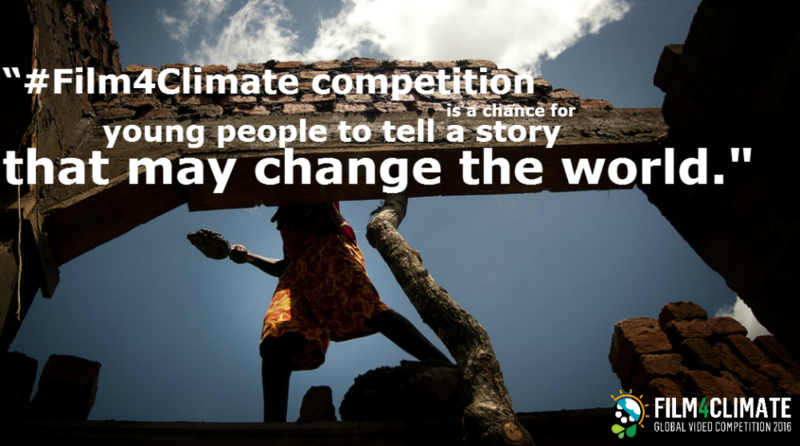 We hope to present stories from all corners of the world at COP22. Download the Social Media Pack. Use the #Film4Climate hashtag. 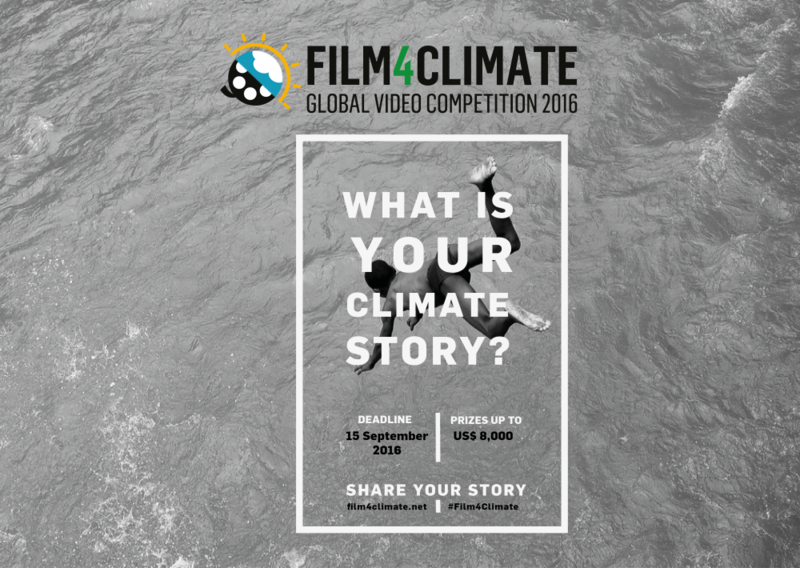 The Film4Climate Global Video Competition invites filmmakers from around the world to express their vision for a sustainable future by creating a short film or video about climate action. The competition calls on filmmakers to explore Climate Action, the 13th goal under the UN Sustainable Development Goals, emphasizing what individuals and communities around the world are doing to promote action, offer solutions and inspire positive change to combat climate change and its impacts. Filmmakers are encouraged to deploy personal narratives that explore fundamental questions such as: What does climate change mean to me? What actions am I taking to mitigate the advance of global warming? 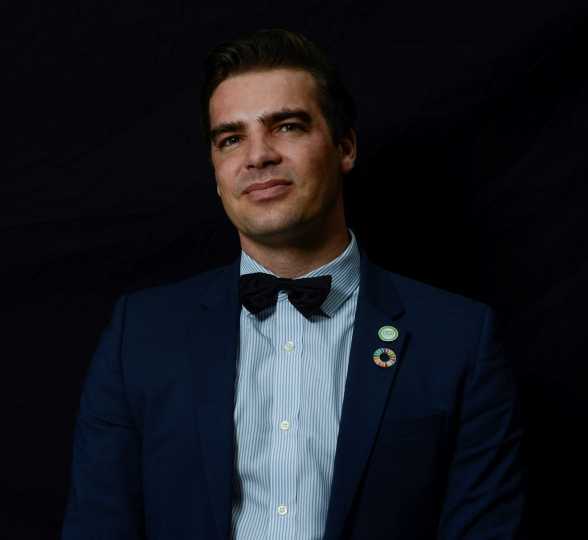 What is my Climate Action message to the world? The competition is open to filmmakers between 14 and 35 years old. Submissions will be open through September 15, 2016. For full competition rules and eligibility requirements, please visit: film4climate.net or on our website here. 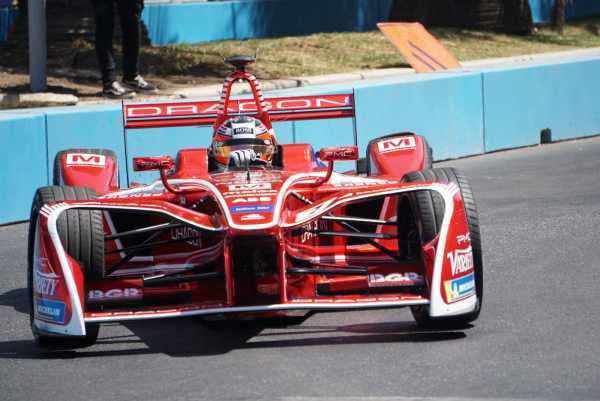 You can read and download the Press Release in: English, French, Spanish, Arabic, Italian, Portuguese and Korean.